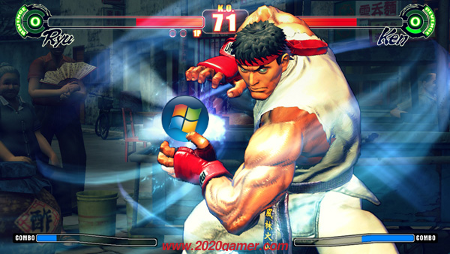 While the PS3 and Xbox 360 gamers were enjoying the long awaited release of Street Fighter IV, the PC gaming community fell victim to Capcom’s anti-piracy strategy. Capcom believes they can reduce piracy on the PC by releasing the PC version of the game months after the console. This policy has failed as it would seem. Entering “Street Fighter IV” into a torrent search engine results in numerous images of the 360’s Street Fighter IV disc with thousands of downloads already completed. To add insult to injury, some of these copies went up online before the game's launch date! Even though the anti-piracy tactic has failed, it seems like PC gamers must endure the wait a little while longer. If Best Buy's Pre Order page is correct that wait ends May 15th. For Capcom's sake they better hope that the hype of the game lasts till that point. I for one am interested. I wonder if they high piracy rate of the XBox 360 version of the game will result in a change in Capcom's policy on piracy? It should be obvious to them now that their piracy concerns should extend beyond the PC versions of their games. Beyond all the piracy the game seem to be selling very well. On the first day of its release it was sold out in Japan. In the USA the Collectors edition of the game was sold out day one at most online and physical retail locations along with the Street Fighter branded Arcade Sticks from Mad Catz. Despite the delay I am still eagerly awaiting the release of this game for the PC. I have my Thrustmaster T-Mini Rumble Force gamepad in hand and ready to let the fight begin.